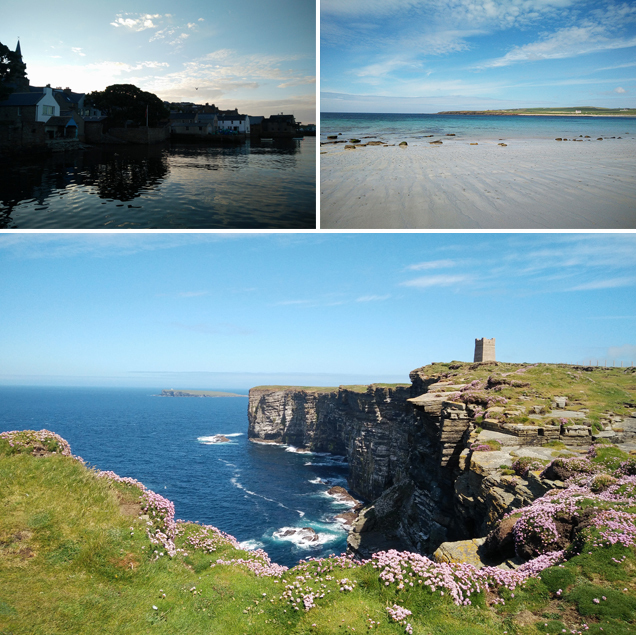 This Summer I headed up on a bit of a road trip with my family, from Lancashire all the way through Scotland to the very tip top archipelago of Orkney. It was a long and beautiful drive (although only half as long as my parents' who had driven up from Cornwall!) through glens and past lochs, with a stop off in literally the most stereotypically Scottish hotel I could ever imagine (think whiskey on arrival, tartan covered lifts and stag's heads on the walls) and then a jump on the ferry near John O' Groats. 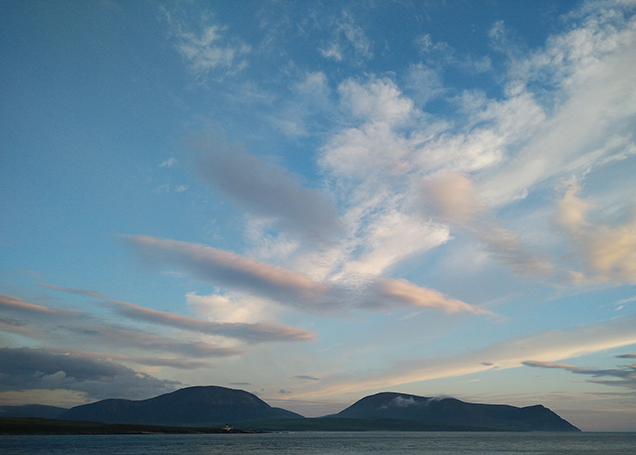 We stayed in beautiful Stromness, a sweet little arty seaside town on the main island (I say little, but it was infact the second biggest town in Orkney). Driving between the islands the landscapes are ridiculously striking - absolutely no trees, just rolling hills, ancient standing stones, shipwrecks, turquoise sea, and cows, lots and lots of cows! 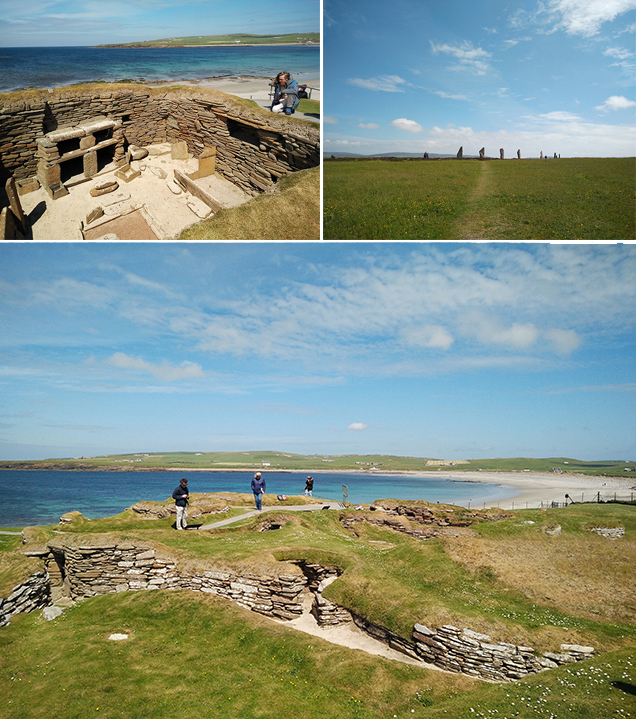 The history of Orkney is so vivid: from crawling into 3000 year old cairn tombs on my hands and knees; jotting down Viking graffiti runes; and learning about its important location in the world wars - you can barely move for historical sites. One of my very favourites was the 5000 year old neolithic village (complete with shelving units! ): Skara Brae. I'll write a bit more about Skara Brae in the coming weeks as I'm basing my new illustration for Light Grey Art Lab's 'Tiny Homes' exhibition on the settlement, but I have a few sneak peeks on Instagram. 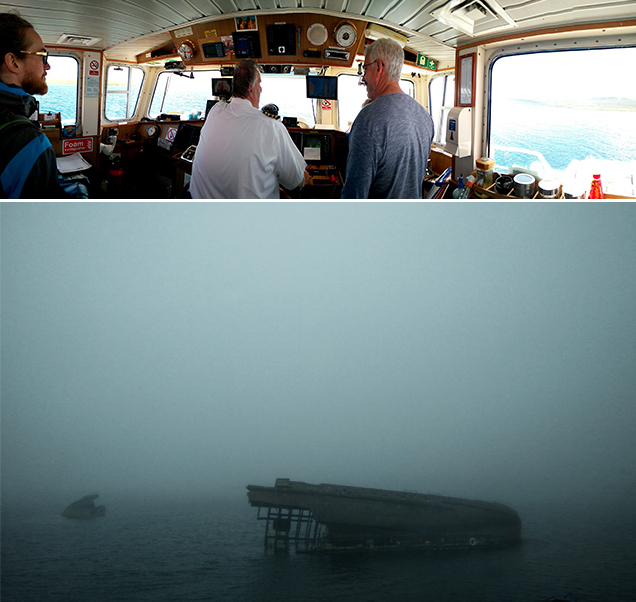 Orkney is so so full of wildlife, it's pretty unbelievable. In one day I saw more puffins, grey seals, dolphins and even killer whales than I could ever have hoped to see in a zoo (and they looked far happier!). The killer whales in particular made the trip incredible - I won't pretend that I wasn't checking twitter for updates on where they'd been spotted and dragging my family around the islands to track them Twister-style (they all agree it was worth it haha!). The islands have always been a place of inspiration to artists and creatives (notably Stanley Cursiter from Stromness! ), so I made sure that I made the most of my time by grabbing every chance I could to take in the landscape through sketching. 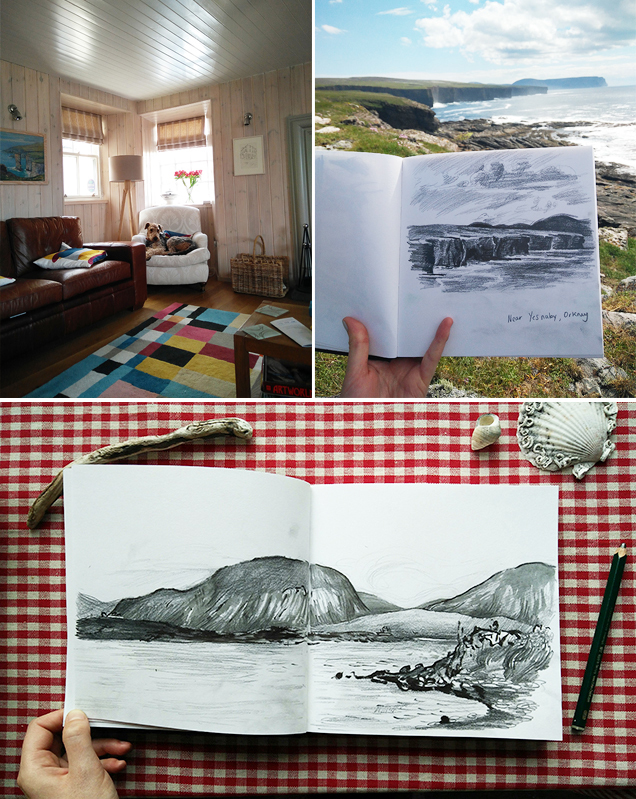 You'll always find me with a sketchbook when I travel - a lot of the time I find it gives my memory of the place a bit more sticking power than a quick snap - and I have to say that sitting on the clifftops in the sunshine, with my sketchbook and a big sandwich was pretty heavenly. I won't stay away for long!